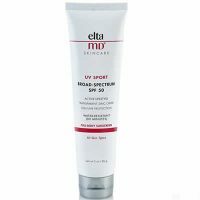 EltaMD UV Clear is perfect for acne-prone skin. 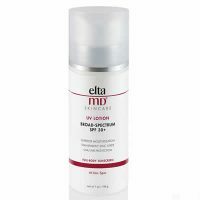 EltaMD UV Clear SPF 46 is a lightweight sunscreen that offers broad spectrum protection against harmful UVA and UVB rays. With its non-comedogenic formulation, this lotion will not clog pores, irritate acne or cause sensitivity. 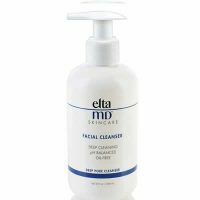 Instead, EltaMD UV Clear calms blemishes, inflammation and discoloration with niacinamide while protecting skin with 9% transparent zinc oxide and 7.5% octinoxate. Hyaluronic acid attracts and retains moisture for supple skin. Lactic acid and antioxidant-rich vitamin E also promote healthy-looking skin. The gentle formula wears wonderfully under makeup, and it has the power to prevent future signs of photoaging such as fines lines, wrinkles and dark spots. 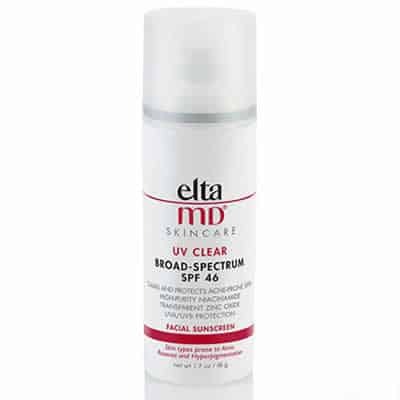 Heal acne and protect against harmful rays with EltaMD UV Clear SPF 46. Apply 30 minutes before exposure to sun. Rub in and reapply as needed. Airless Pump Information: When using your airless pump for the first time, you will need to prime the container by pumping out excess air. Hold a finger over the area where the product comes out and slowly pump the product about 10-15 times. This will help push the extra air out and “jumpstart” the pump. You may need to do this off and on when using this product. If you are still experiencing trouble, try tapping the bottom of the product or pumping it upside down. Please note that since this is an airless pump, you will not find a straw that dips down into the product. This is not a defect. Active ingredients: Zinc Oxide 9%​,​ Octinoxate 7.5%​. Inactive ingredients: Purified Water​,​ Cyclopentasiloxane​,​ Niacinamide​,​ Octyldodecyl Neopentanoate​,​ Hydroxyethyl Acrylate/Sodium Acryloyldimethyl Taurate Copolymer​,​ Polyisobutene​,​ PEG-7 Trimethylolpropane Coconut Ether​,​ Sodium Hyaluronate​,​ Tocopheryl Acetate​,​ Lactic Acid​,​ Oleth-3 Phosphate​,​ Phenoxyethanol​,​ Butylene Glycol​,​ Iodopropynyl Butylcarbamate​,​ Triethoxycaprylylsilane​.